My family loves going to the beach, and I decided to take them to the largest beach in the United States. After a walk around Santa Fe to see the Georgia O’Keeffe Museum, we hopped into the car and headed north to Colorado. We passed through Espaniola, New Mexico and past San Antonio Mountain, which was mesmerizingly beautiful. We spent a lot of time driving toward it, and, as along every mile, I became more amazed by it. Eventually, we made it to Antonito, Colorado, which is a neat little town. Then, there was Alamosa, Colorado, the home of Great Sand Dunes National Park. Before we could get to the sand dunes, we made a detour to Arby’s. Then, it was on to the beach. Yep, they wanted to go to the beach, so I found one in Colorado. However, it is not just a beach. It has sand dunes over 700 feet tall. It is a never-ending beach. Our only disappointment was that the snow melt stream was not flowing. The Great Sand Dunes are usually a natural water park, but the water was only a trickle. One would think that climbing the tallest dunes in North America would be the end of the excitement for one day. However, this was not a normal day. We found the nicest IHOP any of us had ever seen. The service was not that great, but the building was great. A bunch of the Amish even showed up. An exciting day. Start with the works of Georgia O’Keeffe. Play on the largest beach in the United States. Eat fancy pancakes. Then, break into a hotel room. We got separate rooms for us and for the girls. The rooms were next to each other with those doors in between to allow us to walk from room to room. The girls locked themselves in liked they were supposed to do. They turned the deadbolt and put on the chain. Then, they came into our room and shut their door behind them. There was no way to get in. We got the front desk clerk, and, with her help, we broke into the room. We used the special key that worked on the hidden deadbolt keyhole. We also used the special instrument that unhooked the chain. I try to learn something new whenever I can. On that day, I learned that when you lock yourself in your hotel room you are not really locked in. My family learned that you do not have to go to the beach to go to the beach. After lunch, I was driving back to work with my iPod cranked up. The sun was shining and masked the coldness of the air. Before turning onto campus, one of my favorite songs came through the speakers. “I Guess He’d Rather Be in Colorado” was recorded by John Denver, and that is the version on my iPod. However, that is not the version that I first heard and made the song hit me in my soul. Merle Haggard sang the song in the last scene of Centennial, a 1970s miniseries about the American West. I have already written about that movie and will not repeat myself. That scene is on YouTube, and I urge you to watch it. You will probably recognize some of the actors, and there is a great message. It gets me every time. When I hear the song, I am reminded of my love for the American West. Its history. Its land. 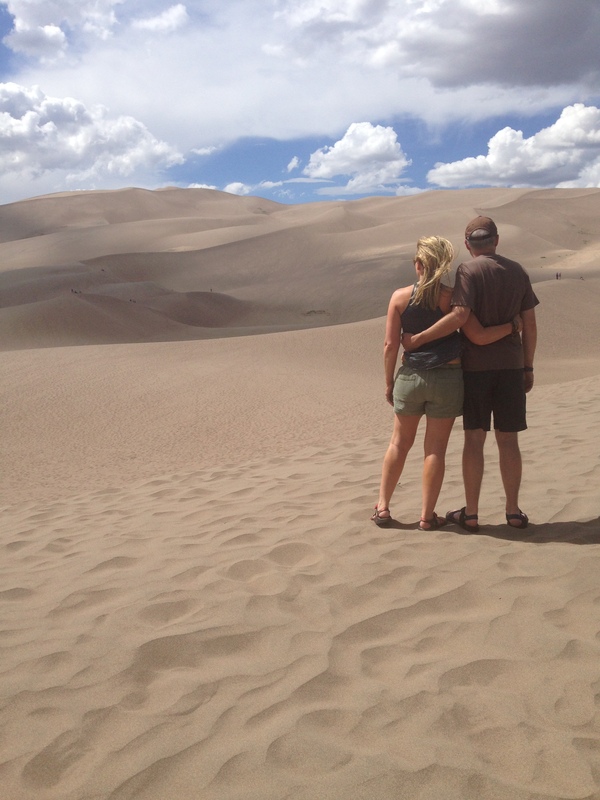 There is nothing better than climbing the dunes at the Great Sand Dunes National Park. Mesa Verde National Park brings back the echoes of the ancient peoples. 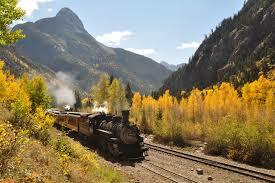 The streets of Durango harken to the days of yesteryear, and the train in Durango will take you on a great ride to Silverton. The song is about Colorado, but, to me, it is about the entirety of the West. The mountains. The plains. The deserts. Life the way it was, and life the way it is. This song takes my mind to New Mexico, Arizona, Montana, Wyoming, South Dakota and all of the others states that make up that region. The song says Colorado, but it means everything. To me, the song means relaxation, peace of mind and wide open spaces. The words go like this.